How was your week? My week was stress free and it went by so fast; I can't believe its Friday already. 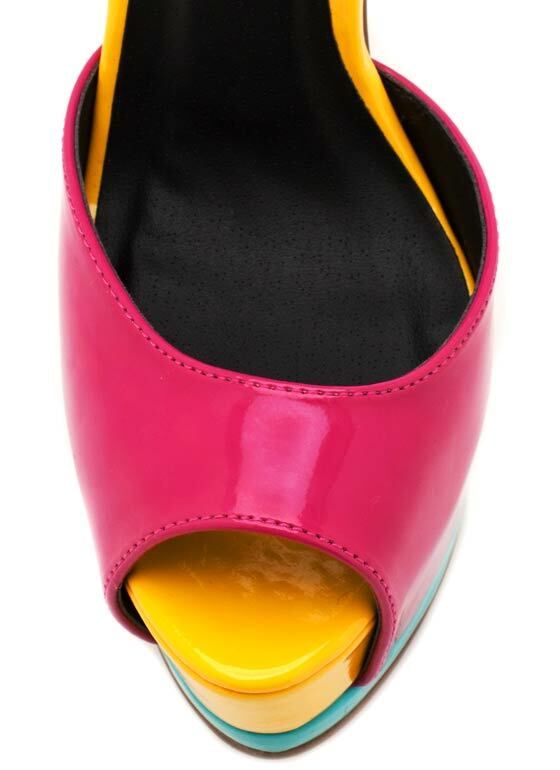 My Shoe Crush of the Week is this Stunning Color-blocked Sandals from Qupid. They are about 5.25inches high with a 1.75inches platform. They retail for $29.10 at Gojane.com and $30.80 at Urbanog.com. You can use APRIL15R to get 15% at Gojane.com and get 20% at Urbanog.com when you like them on Facebook. The Sandals are so CHIC and PERFECT for Spring and Summer. Thanks for visiting my blog, feel free to subscribe and leave a comment below. HAVE A WONDERFUL WEEKEND! That's one amazing color blocking pumps!! Gorg. PS. Thank you for your lovely comment on my blog and of course I'm following you now. Come visit me soon. Awww you are so sweet Martina! Thanks for subscribing, I love your blog and I always check it regularly.